Simple Goddess has done a couple of videos comparing the Rhodia Webnotebook and the hardcover Rhodiarama A5 notebooks with A5 notebooks of other brands. In this video, she does an overview comparison of several different notebook brands including the two Rhodia notebooks, Leuchtturm, and Moleskine along with a few I hadn’t heard of before. In this video she does a very detailed review of the Rhodia Webnotebook and the hardcover Rhodiarama along with pen tests on the paper. She tells us her pros and cons for each notebook. Spoiler alert: she loves the feel of the cover, and the super smooth paper. She doesn’t love the shortness of the pagemarker ribbons. Good news: we have recommended that the ribbons be lengthened, so hopefully that is a change that will happen in future editions of the Rhodia Webbies and Rhodiaramas. 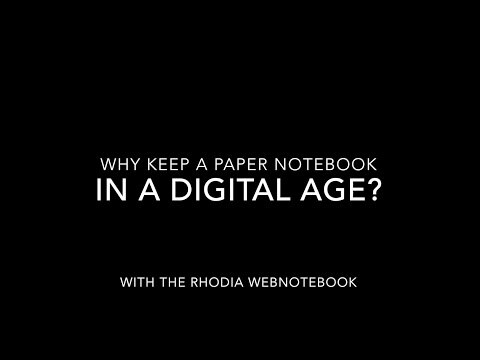 For more information on the notebooks featured in these videos, click these links for the Rhodia Webnotebook and the hardcover Rhodiarama notebook. The Rhodiarama notebooks also come with a soft cover, which you can see more information about here.